 We love singing, we love pop music.. We put them together to create Popchoir! Come and join us! 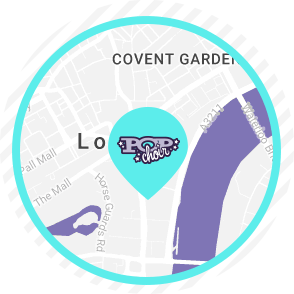 Hello - Welcome to Popchoir!  Community choirs - but not as you know them! 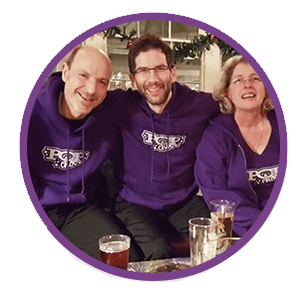 We run a community of choirs across London, and in Kent, Essex, Surrey and one in Cornwall, Come and see why our members love it so much! Come along to any of our choir locations and try a taster session! It's free and without obligation - all you have to do is show up and join in!! It's really the best way to see who we are and what we're like. Why not bring a friend too? Go on - you know you want to!! 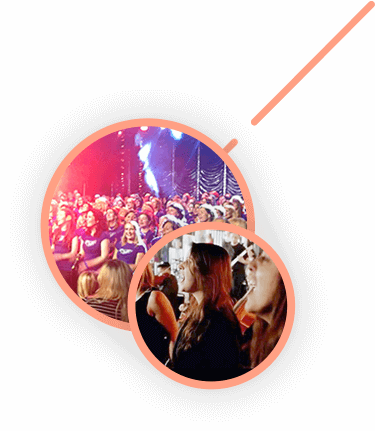 "Joining Popchoir is the best thing I've ever done. I never imagined I'd have the confidence to do the performances that we have, but nothing will stop me now! Thank you, thank you." OUR NEW TERM IS HERE!! What's good about the new year? A chance to do something new!! BOOK A TASTER AND COME AND JOIN US!!. "I feel that I'm part of something wonderful. 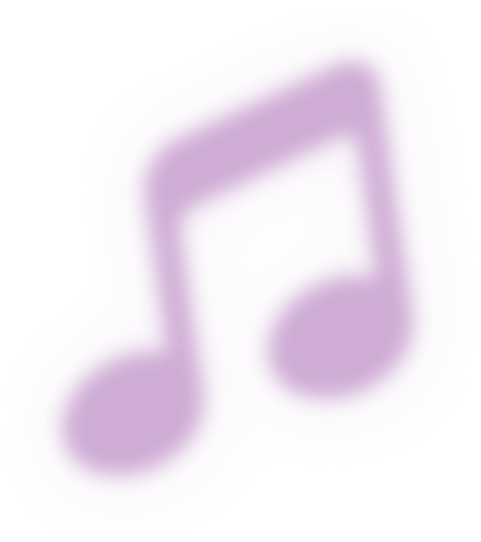 I LOVE Popchoir. Thank you so much." "I left the first night on an incredible high, believing at last that I could sing. 30 years of disbelief shattered in 1.5 hours!" 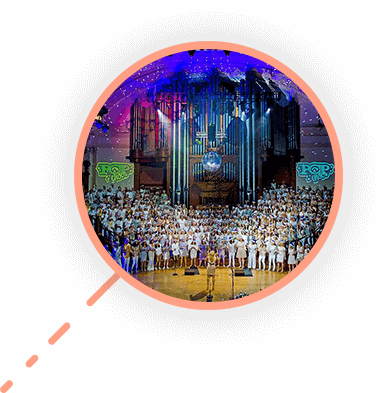 100 Popchoir members, 1 global star, a magnificent venue and a film crew..
""There is something life-affirming and spirit-lifting about singing in harmony in a group.""  Want to know what our members think of Popchoir? 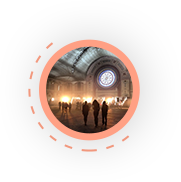 Find out here..
"Joyful, exhilarating, exhausting... my Popchoir evenings are sacrosanct, and the best form of therapy I know!" Travels With My T-Shirt - our members have taken their T shirts all over the world!! ""Thank you, thank you, thank you, for giving us Popchoir. It has totally changed my life."" 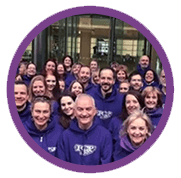 Click here to find out about joining Popchoir and our termly, annual and direct debit membership options.